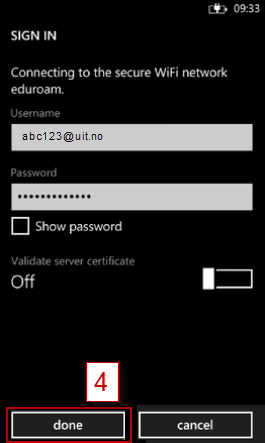 In this manual you will be guided through the process of setting up the wireless eduroam network on a smartphone with Windows Phone 8. 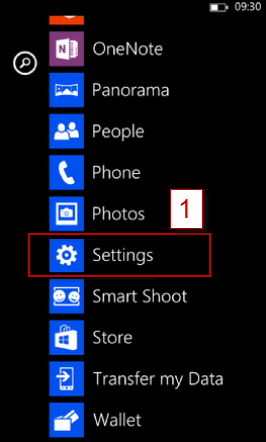 Swipe to the left at the home screen to go to the App list. 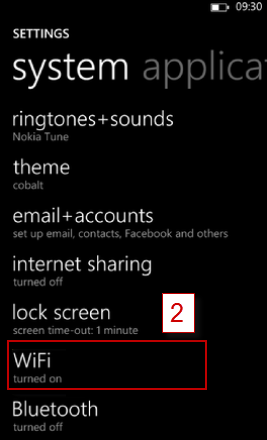 Enable WiFi if not alreay enabled. 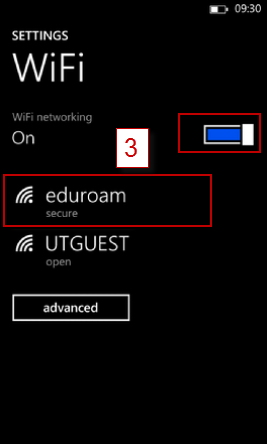 You are now connected to the eduroam network.